Like most industries, real estate gains much of its attention online. 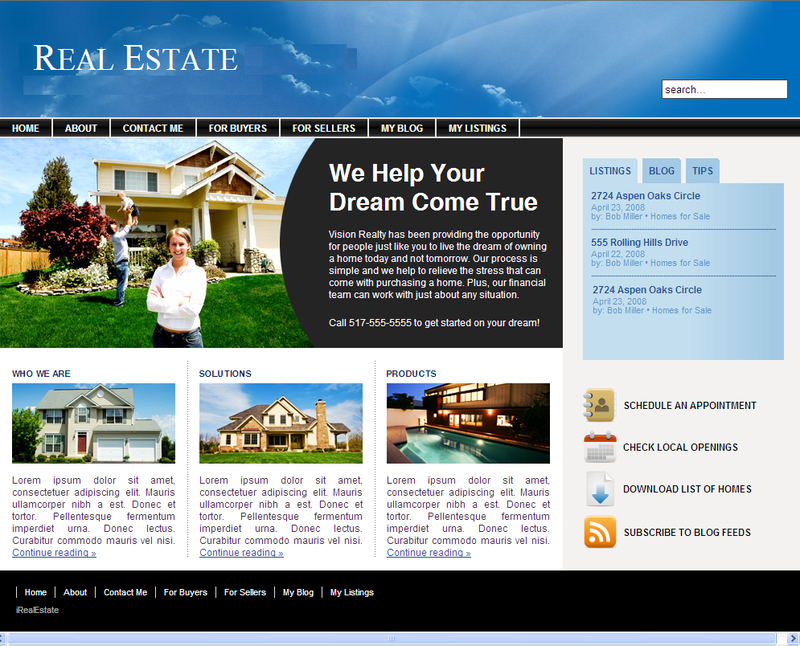 Through websites, consumers can contact agents, make inquiries, search listings, and sell their properties. A great website is key here. Primarily, consumers are looking for a site that’s beautifully designed and has all of the information they’ll need to access listings or contact a realtor. The site should be simple and easy to navigate, without sacrificing great design. If you’re struggling to get conversions on your site, here are some tried and true design tips. An increasingly popular trend in real estate site design involves filling up the entire background of the homepage with an image. This is based on the fact that content with relevant images gets 94 percent more views than those without. In some cases, you might use a video on loop that shows a family enjoying their new home. If you prefer still images, find or take a high-quality photo depicting a similar scene. Consumers love to see a service being used in context, and they especially enjoy images. High-quality imagery allows visitors to imagine themselves hiring a certain agent or living in a home. Overall, it’s one of the best ways to convert. Images are certainly powerful, but the copy on your site can also influence visitors. The words on your site can make an ordinary property seem extraordinary. They should be used to describe the best aspects of both the properties for sale and your services. If you have a talent for writing, you can write your content. However, if the written word was never your strong suit or you don’t have time for it, you should hire an experienced real estate writer to do the work for you. If you want visitors to turn into clients, make it easy for them to do so! With a simple, well-designed contact form, those interested in doing business with you can easily contact you. It’s best to use forms for this purpose to make it easier on the visitor. Simply leaving your number and email address isn’t as effective. Visitors will often forget to follow through with the extra steps of dialing a phone or opening an email. Pop-ups are also extremely valuable. They offer visitors an easy way to subscribe to emails, blogs, and newsletters, which is one of the best possible ways to generate leads. According to research from SumoMe, websites that use pop-up forms tend to convert 20-50 percent more than those that don’t. The only way for realty sites to stay competitive today is through a blog that’s updated regularly with useful and relevant content. With a blog, you can focus on optimizing your website for search, as well as offering actionable content to your readers. The more you write, the better your numbers will be. One of the best attributes of writing a real estate blog is the volume of topics available to choose from. You could write multiple times per day and never run out of things to say about the housing market, home buying tips, negotiation practices, and industry secrets. Posting content multiple times per week is best for increasing conversions. Real estate sites can’t hope to compete today without a functional design that’s optimized for conversions. Through consistent efforts on your site, you’ll generate leads and encourage client retention, both of which are necessary for a successful real estate career.